When it comes to music production, there are few instruments that will be as useful as a decent MIDI keyboard. These devices can be the basis of an album, entire studios can be built around them, and they have such versatility when it comes to providing the sounds for music. They can imitate almost every instrument out there, and if you’re listening to a professionally produced album that came out of a studio, you are going to be very likely to be listening to someone rocking the MIDI keyboard. If you want to get your own MIDI keyboard, you’re in luck! They’re not the kind of thing that you have to walk into a MARS Music for anymore and feel like an idiot when you talk to the guys who are running the place trying to figure out what you need. 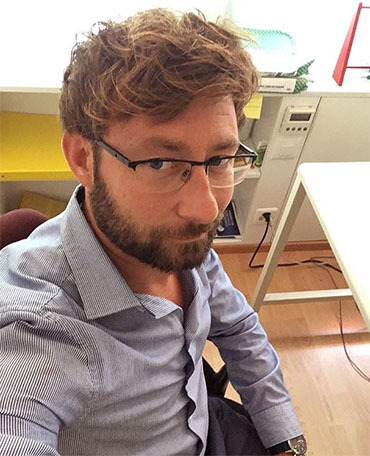 No, today you can just go online and find your very own. Of course, to go along with that, if you are looking at a MIDI keyboard online now, you find that you have a veritable sea of choices. A cornucopia of MIDI keyboards to choose from. Indeed, your MIDI keyboard cup runneth over. To find out the things that you want in a MIDI keyboard, it might be easier to just take a quick look at the overview of these products in a table form. So here is just such a table that shows the MIDI keyboards that you can buy today. If any of you reading this have ever watched Bob’s Burgers, which is one of my favorite shows currently on TV, you will get the reference. There is a character, Gene, son of Bob (who owns the burger shop), and he is almost never found without a small digital keyboard with MIDI interface that he uses to record sounds on the fly and then to play them back in weird and inventive ways. I mention that because this keyboard is very reminiscent of the one that he carries around. Now, there is a downside to a lot of MIDI keyboards in that, without being run through something (like a computer or a PA system), you won’t be able to hear them. They’re not designed to be portable pianos, they’re designed to be played through something, or, more realistically, to be used to produce music with a MIDI program on a computer that will then be sequenced. This tiny terror is a great way to have an easy to move keyboard that you can use to play music on the fly (again, so long as wherever you’re going to play has a PA system of some sort set up), and easily one of the top MIDI controllers 2018 produced. It runs on USB power, but you could absolutely get an adapter to be able to power it off of an outlet without much hassle. It is a 25 key keyboard, which is very tiny, I agree, but with all the ability to modulate and to download sound packages, you can make it sound like whatever you want, at whatever octave you want (much like Gene’s keyboard in the show). It comes with eight programmable drum pads, and like the keys, they can tell the force with which they are struck and responded accordingly; a light strike on the drum pad produces a light sound, while a firm strike will produce a louder sound. This is probably the best option that you’re going to find if you do a lot of recording and move around a lot, or if you end up being the kind of guy who constantly is going to gigs where you’ll have access to a PA or computer system. It packs professional power, but it can also be carried in your backpack with ease and without having to worry about breaking your back. It’s the best friend of the skilled player, and it will be in your best interest to invest in one if that’s the lifestyle that you lead. It’s probably the best cheap MIDI keyboard reviewed. If you know anything about the keyboard industry, be it MIDI or not, you’d know that Roland is one of the big names. I don’t want to say that they’re the Rolls Royce of keyboards, but they’re definitely in the Mercedes-Benz range. The point I’m making here is that not only are they well-known, but that they have the ability to back it up when it comes to quality. The JUNO-DS61 is no exception to that rule, either, and is the best MIDI keyboard for Mac OS users. It has a Digital Audio Waveform system (that thing that’s right in the center of the console there) which will allow you to make your keyboard sound like other devices when played over a PA system or what have you. This can be handy if you want your keyboard to be able to imitate, say, an electric guitar in a 1980’s British punk band, or to make it sound like an organ, or to make it sound like it’s a grand piano. If you go to a recording studio that already has its own gear there (and many recording studios actually do this these days), you’re likely to find that they have a Roland there. And why not? They’re professional grade keyboards with a MIDI interface at a decent price. The Roland JUNO-DS61 is a 61-key synthesizer that is a top seller in stores all around the world. 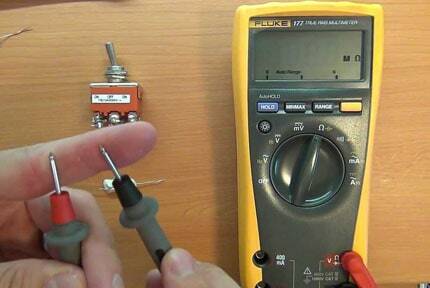 It can be powered by a battery, or it can be powered with the use of an adapter run to an outlet. It has 8 phase pad buttons that can be programmed to make whatever sound you like, which seems to be a pretty standard thing in MIDI keyboards these days. Having a 61-key synthesizer is great, too, because it gives you a more realistic range of keys, like you would find in an actual piano or organ, without having to turn to octave switches on the fly to be able to get a better range out of your device (this is a problem that you’ll run into with the 25 key keyboards on this list). It’s not the most easily portable keyboard, but if you’re a professional who is spending enough money on their MIDI keyboard to by a professional grade device, I would think that you’ll have no problem moving it, or that you’ll be buying it for use that it will rarely be moved in. Either way, if you’re looking for a quality keyboard that you can use to make beautiful music and that will last you for quite some time, you should definitely consider the Roland JUNO-DS61. One possible downside is that it is not the best MIDI keyboard for beginners, as it has a rather steep learning curve. Sometimes, what you really need is a keyboard that will be just a keyboard, something that you can play into a mixer with and that will be controlled more on the computer or PA side than on the keyboard side. Something simple, something that doesn’t require hours of study to be able to use every function of, something that just simply makes the music that you want to make and allows you to record it to MIDI software or to run it through a PA system. And the Midiplus AKM320 is exactly that keyboard, and the best MIDI controller keyboard for anyone looking for a simple keyboard. It’s a no-frills solution to your MIDI keyboard needs that will allow you to jam out and to port that jam session right to your computer or through your PA.
As this is the case, while other keyboards have 8 drum pads, 16 drum pads, and scores of buttons designed to be programmed to do whatever you want, the Midiplus has none of that. It has four buttons for specific purposes, and it has two modulation switches (which are absolutely essential if you’re a fan of Seinfeld and want to be able to play the introduction song) that you can use to make interesting sounds and to ‘bend the cord’ so to speak. It comes with 32 keys, which is enough to give you about half of the octave range of a guitar or a regular piano, and it does have buttons that will allow you to shift the octave on the fly, which is a plus. However, I would prefer more keys, that I might be better able to play a wide range of melodies. It is powered via USB cable, but as with many devices, it can be powered by the addition of an adapter run to a wall outlet as well. 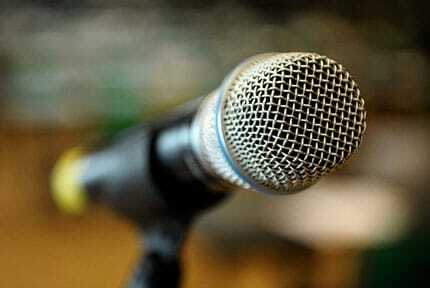 This may be in your best interest if you’re playing through a PA system. Whatever you’re looking to do in the music world, I would highly recommend this MIDI keyboard for those of you who are constantly on the go. If you’re the kind of guy who plays multiple gigs in a night, or if you’re the kind of musician who finds themselves going to five or six different recording studios to lay down tracks in a week (or even in a month) and want to bring your own simple MIDI keyboard, then I would suggest that this is the one for you. You can tout it all around the country and it won’t break your back. If you need a simple MIDI solution I would definitely recommend that you start your search with the Midiplus AKM320. It is one of the best MIDI keyboards that 2019 offers us if all you need is simplicity and value, but if you’re looking for professional-level gear, you may want to look elsewhere on this list. If you looked at this and thought to yourself ‘that thing looks like a drum machine mated with a Korg MIDI keyboard’, then you’d understand completely why this one made the list. It is the best MIDI pad controller 2018 produced, and something that you will be happy to use. Incidentally, it is also the best cheap MIDI controller on this list, which is also great. 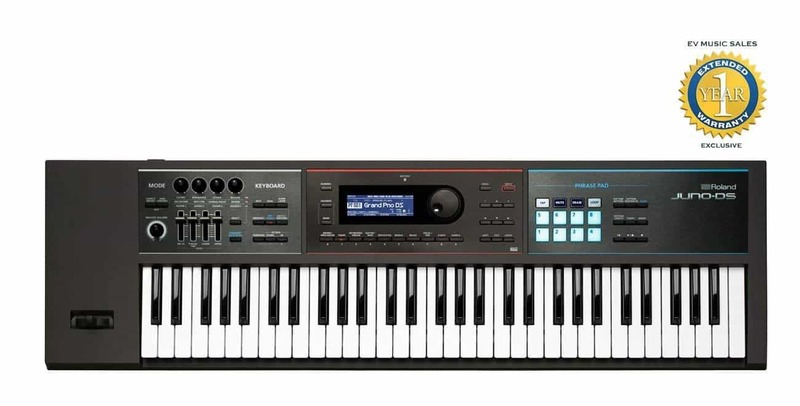 I won’t lie to you, I don’t know a lot about keyboards, being more of guitarist kind of guy than a keyboard player, and I’ve never heard of the name Novation before I took a look at this keyboard. That being said, I was exceedingly impressed by this package. The multi-colored buttons on the top, above the keys, are all velocity-sensitive drum pads. That means that not only can they be programmed to provide a certain sound or effect, but that how hard you hit them determines how loud the sound is. Program one to be a cymbal, and you can hit it lightly for a quick hiss, or you can smash it as hard as you can for a louder ‘ting’ sound. You’ll have 16 buttons at your disposal to do whatever you like with. Now, one of the notable downsides of the Novation is that it has only 25 keys. This means that you cannot get the full range that a regular piano would have, but the keyboard does come with an octave shifting key (up and down, one each) that will allow you to switch octaves on the fly. It just seems like more of a hassle than having the additional keys. But, of course, the limited number of keys means that you are easily able to transport this keyboard with you anywhere you go. And that’s great because as far as MIDI keyboards go, this is one of the most functional 25 key keyboards. Coupled with the fact that you can take it anywhere, and the fact that it can be run off of a USB (but can also be run via an outlet with an adapter), this may be one of the best MIDI keyboards for sale if you need a bit of extra functionality, but also value mobility. It is also fairly inexpensive, and pretty light, meaning that if you’re looking for a keyboard that may get a bit beat up (as all musical equipment that is constantly moved is wont to be) because you’re taking it to every gig, you’ll be happy with the Novation, and you won’t have a heart attack when something goes wrong and you realize that you have to replace it. Don’t ever tour with your favorite equipment, people; it will break. 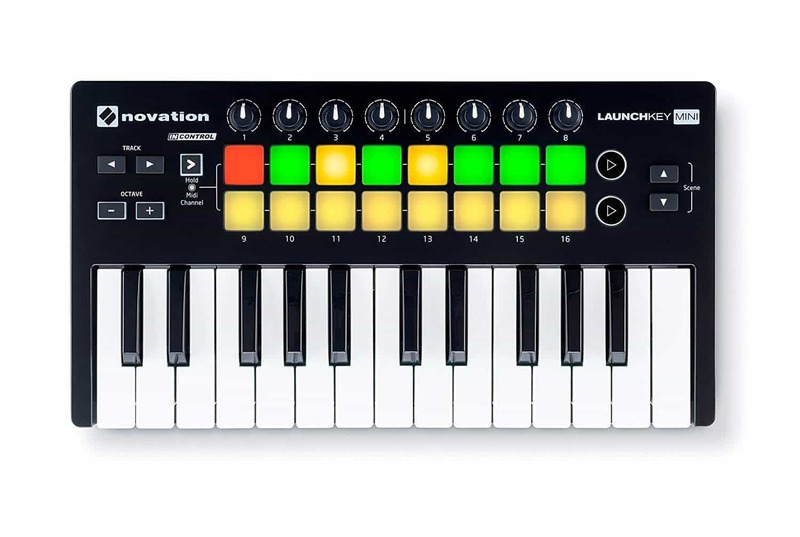 So, for a good mini keyboard with all the MIDI interface and drum pads, you could need, take a look at what the Novation Launchkey will be able to offer you. It’s a great cheap USB MIDI keyboard. Yamaha is a business that seems to make everything. Do you want to get a motorcycle? Yamaha has you covered. Maybe you would like a decent guitar, be it an acoustic 12-string guitar or an electric hollow body guitar with two humbucking pickups? Yamaha has got a deal for you (and their guitars are used live by bands like Flogging Molly). Are you looking for an alto saxophone? Yamaha makes them! My point is that when it comes to most industries, Yamaha produces at least a few products for that industry. Their offerings tend to be quality products, too, and their price is accordingly set. The Yamaha MX49 is no exception to this. It is a fantastic music synthesizer that comes with 49 keys, which is a lot closer to being the size of a regular piano keyboard, and this means that you won’t have to worry about hitting an octave switch in most cases while you’re playing or recording or whatever you may end up doing with the Yamaha MX49. It makes for a great recording keyboard, what with the addition of the digital audio waveform interface that will allow you to use the keyboard to impersonate a variety of instruments on the fly. It has many buttons, most of which can be programmed to do whatever it is that you would like to do, and as usual, it has the pitch modulation devices that are at the end of the keyboard (on the left-hand side) in case your music needs ‘cord bending’ sounds. It is powered by an outlet (which makes sense because of a massive array of functions that need to be powered), and can be connected to a computer via USB, or to a PA system via a variety of common cable connections. This is another one of those keyboards that I would suggest that you utilize if you’re not planning on moving it very often, just because the price is immense. If you’re a professional musician making thousands of dollars playing music each month, you may be able to easily absorb the cost of replacement or repair, but most likely, you’ll not want to. This being the case, I would only recommend this keyboard to people who are in the studio unless you have the money to replace it. Probably not the best gigging guitar for the entry-level musician, that’s for sure. I know, the gig bag is a nice touch, and it will help it stay safe longer, but eventually, if you gig with it, something will go wrong. Beer will get spilled, it will fall off a stage, something. But it is easily the best keyboard for music production. Novation makes a second return to this list with their Impulse 61 USB MIDI Controller Keyboard. I like this offering for a lot of reasons, and I find a lot to like about it, but to begin with, I like that it offers most of the functionality of the higher end MIDI keyboards at a price that will not break the bank. To begin with, it has 61 keys, which is about the number that the vast majority of pianos that I’ve ever seen have. This means that when you’re playing the Novation Impulse, you don’t have to worry about octave switching buttons, which can be a real hassle, to say nothing of the fact that they are not the best thing for you to have to deal with if you’re not generally a keyboard player, but a pianist of some sort. I prefer the 61 key setup because it gives you wide and easy access to a range of octaves to be able to play through, something akin to what you could get out of a regular guitar. The Novation Impulse also includes 8 velocity-sensitive drum pads as well as the Waveform technology. This means that you can program those drum pads to whatever you like. You also have a sequencer, something which will allow you to loop the music you’re playing, or to record rhythm parts then play them on repeat while you riff over them. The Waveform technology, of course, will allow you to decide what sound effect you’d like your keyboard to have, or what instrument you’d like it to impersonate. Honestly, this has to be one of the top 10 MIDI keyboard controllers available, especially at the price range it’s in. It’s cheap enough that it makes a decent gigging computer, even though it is a bit bigger than a lot of the other offerings here, and it has all the functions that you would need if you’re playing at a studio. Definitely, a purchase that you should look into. Roland continues to be an amazing keyboard for almost any application, and this is no different a representation of their product line. The Roland A-800PRO MIDI controller has many of the bells and whistles that you need from a keyboard, whether you’re playing it as a gig instrument or you’re using it in the studio. To begin with, it comes with 61 keys, which, as I have said earlier, is a good range of octaves to be able to access with ease. There is also the ability to reach other octaves with the help of the buttons on the keyboard, but still, without even having to get into that, you’ve got 5 octaves at your fingertips here. This Roland comes with not just the usual 8 programmable drum pads (positioned in the middle of the keyboard), but with 45 assignable controls in total. That means that, with software, you can literally turn this keyboard into any instrument you would like it to sound like. This is great in the studio, especially if you’re low on money to hire people to play certain instruments. It is powered by USB connection (which is also how you hook it into the computer in order to record), but you can get your own adapter and run it to the wall outlet if you want to go out and do some gigging. This will make a great MIDI keyboard for whatever use you’re looking to get out of it, and it is absolutely professional quality. The only thing that you need to worry about is taking care of it when gigging which is why, of course, I would suggest that you look into a gig bag if you’re going to be bringing it out to shows with any regularity. Definitely, the best 61 key piano that we have looked at thus far in the list. The Roland A-49 keyboard is a simple MIDI keyboard. 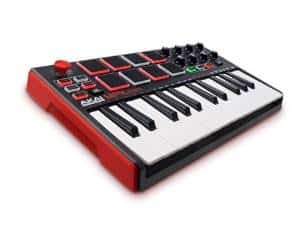 It’s kind of similar to the Midiplus AKM320 reviewed above in that respect, but with the quality that you only get from a Roland, and with a lot more keys. 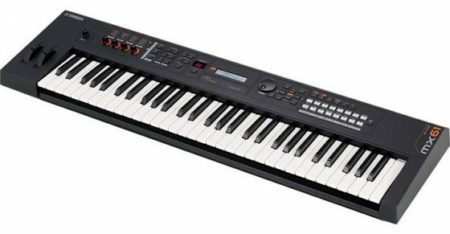 The Roland A-49 has 49 keys, covering 4 octaves, giving you a good range. As with so many of the keyboards on this list, it has a set of buttons dedicated to switching the octaves up and down so that you can get a full range when playing, switching octaves on the fly. However, don’t let that fool you into thinking that the keyboard is a complex one. The Roland A-49 has two programmable buttons in its entirety. It also comes with the foot pedals that you would normally find in a piano, allowing you to make your playing more staccato or to extend out the notes a bit more. This is actually the only piano on the list that the foot pedals come with, shockingly (although with many, you can order them separately if you feel the need to), and that alone makes it stand out. The simplicity of a two button system is something I kind of enjoyed. It’s a USB-powered keyboard that can also be powered by the use of an adapter run to a wall outlet if you desire. But one thing I would like to highlight is that, even with the immense length that has gone into this product, you can move it easily because it is not so thick to accommodate all the electronics. It’s a simple keyboard, and it’s easy to move. If you’re looking for a professional grade keyboard that you can take out to play wherever you may be going or something that you can use in a studio, and you still want the Roland quality, this is a great option for you to look into. Yamaha returns with another great offering! This is actually from the same product line as the Yamaha MX-49 which was displayed up above. It’s basically a great keyboard for someone who wants a great MIDI keyboard, but who needs the full 61 keys instead of the 49 that the MX-49 offers. As I’ve highlighted, yes, this keyboard comes with 61 keys, which covers a whopping five octaves. This means that you can play a good range without having to worry about hitting the buttons to switch the octaves up or down. This is a professional MIDI production station, and believe it or not, it has a full complement of Waveform controls and a number of programmable buttons (18, to be precise) as well as the normal modulation controls. Basically, if most of the other keyboards on this list can do it, the Yamaha MX-61 can do it as well. It’s powered by an adaptor run to an outlet, which makes sense as it needs quite a lot of power to run all the functionality. It is a great choice for anyone who is looking to go out and rock a gig or a series of gigs, or for someone who is looking to record in a studio or even to make their own recording at home with just the keyboard and a laptop. If you’re looking for a high-end recording rig, this is the place to go, and it will help you immensely in your recording sessions or just general gigging. How To Choose The Best MIDI Keyboards For Me? You’ve been playing keyboard for quite some time, and it’s time to buy a MIDI keyboard for your own use, one that you can record with, one that you can gig with, one that will do all the things you might need a keyboard. Most keys that are being put into these keyboards are velocity sensitive, meaning that they will understand the difference in pressure applied, so that’s not an issue you need to worry about. However, the number of keys on the keyboard does widely vary. The fewer keys you have, the more portable it is. However, the more keys you have, the larger your range to play in as far as octaves is. Consider if you want to be able to play more octaves or if being able to easily tote around your keyboard is more important for you. To get the most out of your MIDI keyboard, you will need one of two things. If you’re playing live, you may find that most of these keyboards are able to be played through a PA system, which is what pretty much everyone plays through when they go out. The vast majority of these keyboards cannot play sound without being run into something, mind you. The other thing that you may be playing through is a computer, in which case you’re going to need a computer that can handle Windows 8 or better (or a comparably powered Mac OS computer) so that you can run the MIDI software you need. Some of the keyboards themselves will come with programs that are designed to help you set the assignable buttons or drum pads that are featured on your keyboard. How Many Assignable Keys And Buttons Do I Need? Well, the question here is how many can you use. If you’re recording in a studio, it’s not likely that you are going to need to switch sound profiles or the like on the fly, but it can be a handy feature to have. If you’re playing out, though, you have to contend with the fact that the more functionality your keyboard has, the heavier it is, the harder it is to move, and the more likely that you will break something. In the end, it’s all about your particular needs, and knowing what music you play and what you need for it. These are the best keyboards on the market today, and it’s better to use an informative list like this than to just go out and look for cheap keyboards for sale and buy the first one that you come across. If you consider the information on this list carefully, the products themselves, and your own needs, you will find that you find the best way to make your music and to fill the keyboard needs in your life. When it comes to finding the best overall model here, I would argue that this is the Yamaha MX-61. Yes, I know it doesn’t come with any drum pads, but it is a quality piece of musical equipment that has everything you’ll need. If I were forced to pick a value model, I would have to choose the Novation Launchkey Mini 25-Note USB keyboard controller, which I think is a great value for the price, and is a very portable model that can work out great for anyone. Whatever keyboard you purchase on this list, you’re going to be very happy with your choice, and it will provide music for years to come. Now that you’ve read about the best MIDI keyboards. Take time to read our guide about the best backlit keyboards too, right here.